Is it possible to Laugh for No Reason? Contrary to popular belief, Laughter Yoga has proved that one does not need a sense of humor, to laugh. 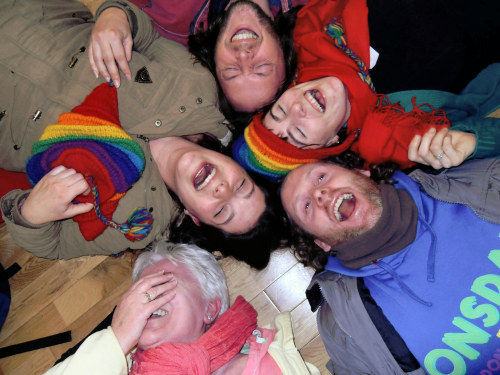 Laughter can be learnt and programmed into the body, to bring about a complete transformation. Research has proved that just 10-20 minutes of fake or real laughter has a profound benefit on the human body. It is generally believed that in the absence of humor, Laughter is almost unthinkable. But, we cannot always depend on a sense of humor to create laughter, since humor is a phenomenon of the Intellect, the Mind. Moreover, humor is unique to the individual, their culture, and it varies from person to person. There may be few reasons for us to smile and laugh, while there are many reasons for us to be sad, depressed and frustrated. In fact, regular conditioning as we grow up, has led to undermining of emotional expression. 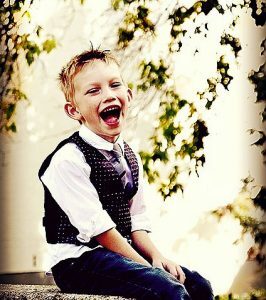 “If we notice, children are absolutely natural when they laugh. Their laughter is not dependent on any external stimulus like jokes, comedy or humor. Adults, on the other hand, learn the art of suppressing emotions for fear of being ridiculed or facing a conflict, which proves to be detrimental in the pursuit of physical and mental well being. Laughter Yoga is a unique concept of Unconditional Laughter, according to this, anyone can Laugh for No Reason. It does not rely on jokes, humor or comedy. It initiates laughter as a form of an exercise in a group, and as the Laughter Sessions progress; Laughter becomes real and contagious. 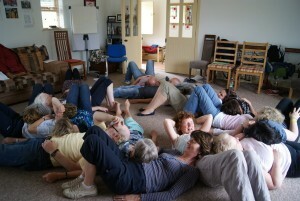 The name, Laughter Yoga, is derived from combining Yogic breathing (Pranayaama) with Laughter Exercises. This effective blend results in multiple health benefits, primarily increasing the supply of oxygen and boosting the immune system. “It energizes and recharges the metabolism, making one feel fresh and energetic. 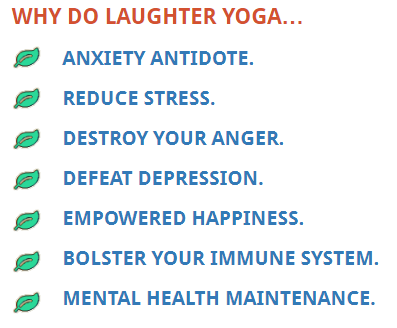 Laughter Yoga Concept & Philosophy – The best part of Laughter is you really don’t need any “Reason” to Laugh… Just Start. Initially Laughing alone may seem awkward, but joining a Laughter Club makes it easy. It provides a platform which helps to break psychological barriers and shed all inhibitions. “One can actually feel ‘fake’ Laughter turn into ‘real’ and contagious laughter.